This Irish Blessing Printable isn’t just for St. Patrick’s Day. 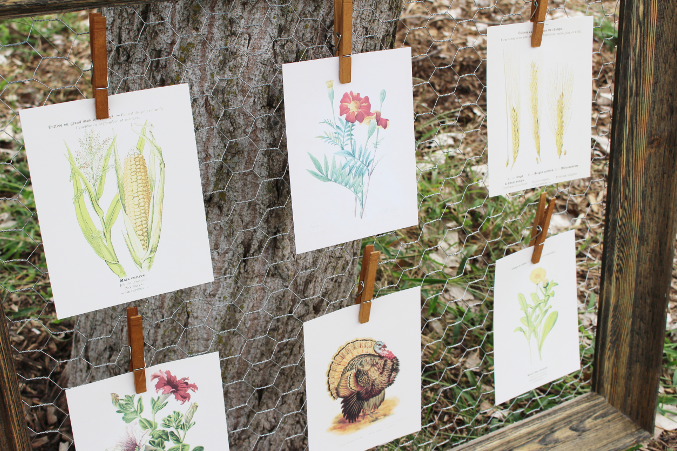 It’s a gorgeous and easy addition to any home, no matter the season! Grab the FREE download now! Though my family has been in the U.S.A. since the 1600’s, our roots are Irish and Scottish and we love to celebrate that at every opportunity. In fact, my mom found our family tartan pattern and had ties made for all my male family members. They wear them all the time and it’s always such a fun reminder of our history. There are also several Irish sayings that we love to quote to each other, depending on the situation. I even like to use them in easy toddler activities for my son! But of all the Irish Blessings we use around here, the one I remember the most from my childhood is this first one. My mom had it hanging in our home the whole time I was growing up! We moved over 20 times during those early years, but that saying hung carefully on the wall was something that always told us we were home! 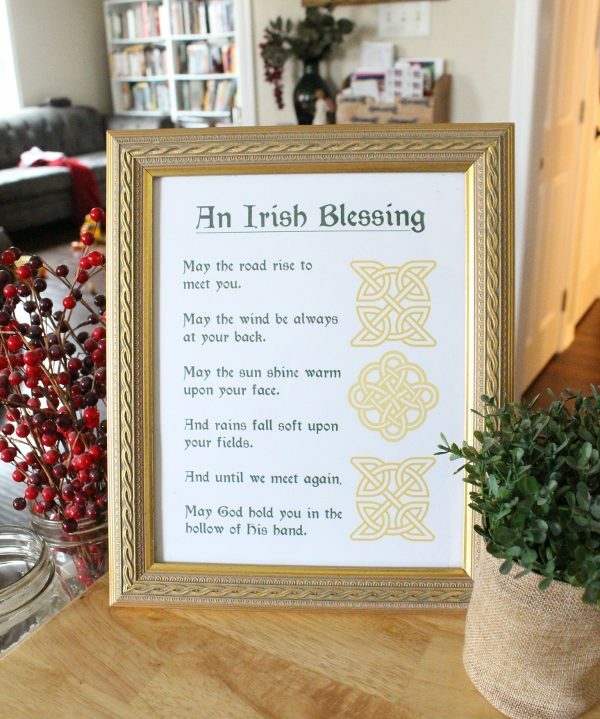 I wanted to recreate that feeling of “home” for my family, so I made this 8×10 Irish Blessing printable for myself and I wanted to share it with you too! I would suggest printing it on cardstock, and there are guidelines for cutting it once it’s printed. Also, the gold is just the perfect color to actually look gilded once it’s framed behind glass! Thank you for the Irish Blessing. I just can’t figure out what to click on to print it. I saved it to Pinterest but don’t know how to print it on cardstock. Thank you for sharing. 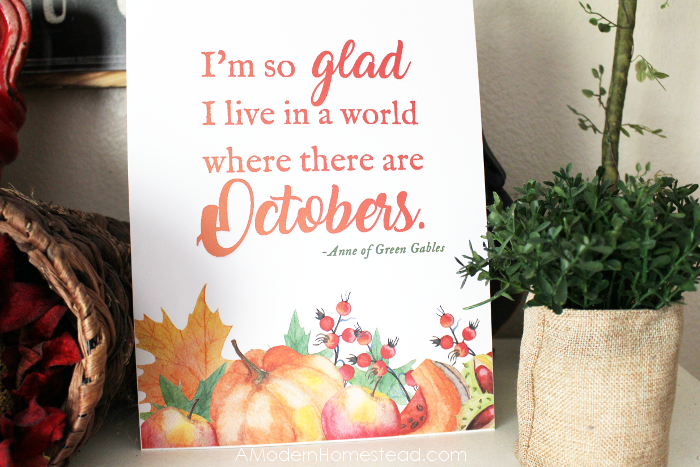 I know you are a member of my newsletter, so you can go to https://www.amodernhomestead.com/free-downloads and type in the password set out with every newsletter. That will open up the members only section for you to download the printable. Thank you. I don’t know how I missed the password. I did get the Irish Blessing but couldn’t get any others. My browser didn’t have a way to just turn off pop up blockers and I couldn’t figure out how to get any other free printables. One of my granddaughters played Anne in Anne of Green Gables last year and I wanted that sign also but could never get it to work. Hi Cyndi! Once you’re on the downloads page, just click the title of the item you want to download and it will start downloading right away!